Hello Beauties! I am back with another review. This time I am reviewing handmade 100% vegan Body Soap called African Forest by the Brand called Dear Earth by company called Unived. I received this soap for the review long time back (A month back), but I couldn’t review it due to my busy days with little baby! However finally I am reviewing this body soap. Read ahead for the review. Let the exotic cocoa butter and nourishing African black soil pamper you and rid your skin of dead cells and blemishes. 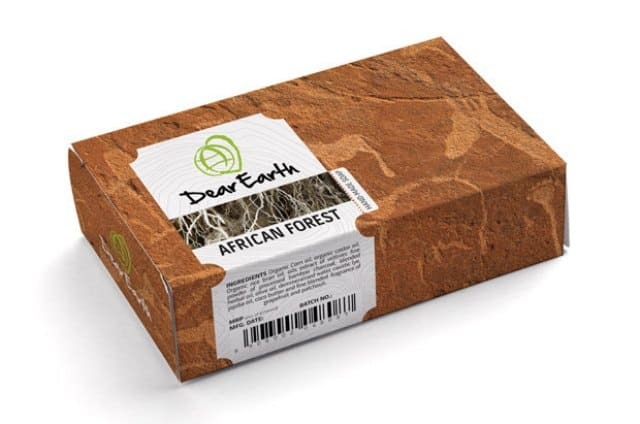 Dear Earth African Forest soap rejuvenates your skin with moisturizers and infusion of vital nutrients. 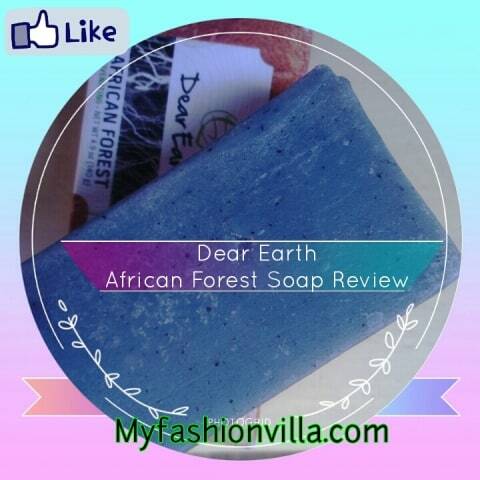 Dear Earth African Forest rejuvenating soap is 100% handmade and vegan. It is a fine blend of pure USDA organic certified ingredients and does not contain hazardous chemicals. It is also free from animal cruelty. Available on: http://www.unived.in/ and I saw it on Snapdeal too. Organic dried, boiled and fine powdered Elaeis Guineensis (Palm) leaves, organic Plantain stem extract, organic Theobroma cacao (Cocoa) seed powder, organic extract of Black soil, saponified organic Ricinus communis (Castor) seed oil, organic Zea mays (Corn) oil, organic Azadirachta indica (Neem) seed oil, organic Cymbopogon schoenanthus (Lemongrass) oil, organic oil of Vetivera zizanoides, organic extract of Aloe barbadensis, EDTA, and demineralized aqua. I am using this soap since last 2 weeks, and still I have this soap which will last for one more week at least. It has very mild fragrance. It comes with small black partials inside it which gives effect like a body scrub and I like that a lot. 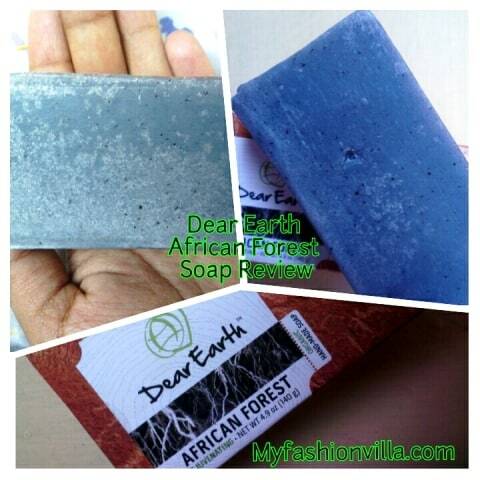 Dear Earth African Forest soap lathers well and moisturizes skin well. The African Black Soil inside soap helps rejuvenating skin. Unlike other soaps, this soap doesn’t make skin dry and itchy which is a plus point of this organic natural body soap. Overall, as it has no harm chemicals, it is not hard on skin like other soaps and as it is 100% vegan, I like it. If you like handmade organic vegan soaps, you will love it. Hope This review will help you all. Share Your Views through comments.